Is birdwatching getting boring for you? Eli, a former Brookies and Ursids student and monthly correspondent, writes about the common British hobby, twitching. Join the scavenger hunt of twitching and see if you can spot some of the recently spotted rare creatures! Have you ever had a “twitch” you couldn’t scratch? “Twitching”, as it is called by British Birders, is the hobby of going out and seeing a bird that someone else has already found. In simple terms, twitching turns bird watching into a fun treasure hunt that sometimes ends in seeing the bird, or a wild goose chase (quite literally). I enjoy going twitching on occasion having had many rewarding finds and an equal number of wild goose chases. In this article, I will break down one of my more successful twitches and give you some advice on what to do and not to do when going twitching. Obviously before you can go twitching, you need to find a bird to target. There are a variety of tools you can use to find a twitchible bird depending on where you live. In England, where twitching is very popular, many birders have pagers like those used by firefighters that alert them to rare birds. In Pennsylvania, the two best resources are PA Bird List, an American Birding Association Listsev, and the Ebird rare bird alert system. Both systems can send alerts to your inbox telling the whereabouts of unusual birds. I personally use both systems, but I prefer the Ebird system and get three Ebird reports a day in my inbox. The reason I prefer the Ebird system is the fact that you can get GPS coordinates and printable directions to the bird’s recent location. After you find a bird you wish to twitch, you need to find out if the bird is accessible. Accessibility isn’t a problem on public lands, but birds don’t care if they land on public land or not. A lot of rare birds show up on private property and not every property owner is welcoming to twitchers. It is important to find out if the bird is accessible to the public before you go twitching for it. Usually, the person who finds the bird will include accessibility detail in his or her report. So, now that you have found the bird you want to twitch and know that it is accessible, it’s time to work out the details. First, you need to find directions. In the old day you had to contact the person who saw the bird and ask to be taken to seen it. These day with the Ebird system, all you have to do is click on the Google map located in the rare bird report and print the directions. Next, drive to the bird. It’s that simple. Occasionally, you will need to park at a specific spot or walk the final leg to the bird. Once you are in the bird’s general vicinity start looking. Birds rarely sit still, and that bird you are looking for could be anywhere. I told you earlier that I would tell you about one of my recent twitches done using this system, so here it is. 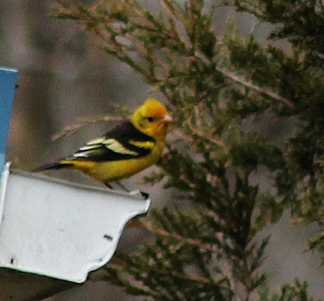 Back in January, I was looking at my daily Ebird report and saw that a Western Tanager had been spotted at a feeder in State College, and that the landowner was welcoming to birders. After seeing this report, I printed out directions on Ebird and I was determined to see the bird. Amazingly, the bird stuck around (it should have been in Central America) and a few weeks later, I was finally able to head up to see the Western Tanager with two other birders. Twitching birds is great fun and can be very rewarding, as well as challenging. With all the resources available to the modern birder, twitching birds is easier than ever. Also, rare birds are always being reported so you will never be in a bind for twitchible birds. The even better part about twitching is that it’s free. 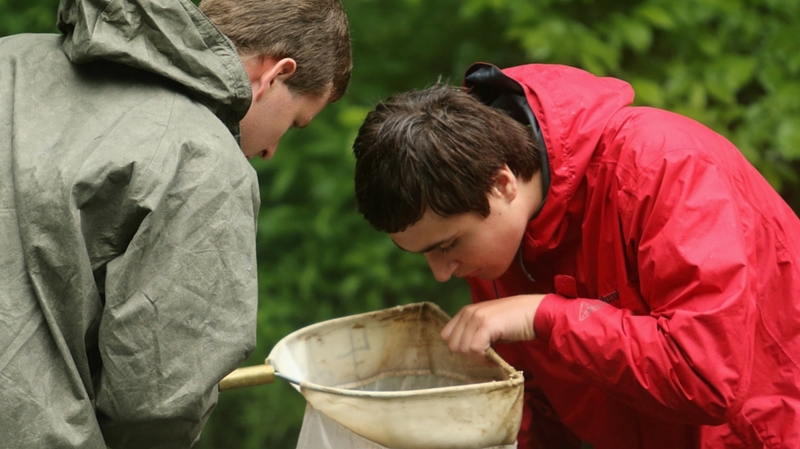 What’s not to like about twitching- it’s a fun, free, challenging outdoor activity. So get out there and go twitching. You never know, you may become an addicted twitcher!